We are nationwide accountants, wealth managers and business advisers who have over 60 years’ experience of working with organisations and people like you. 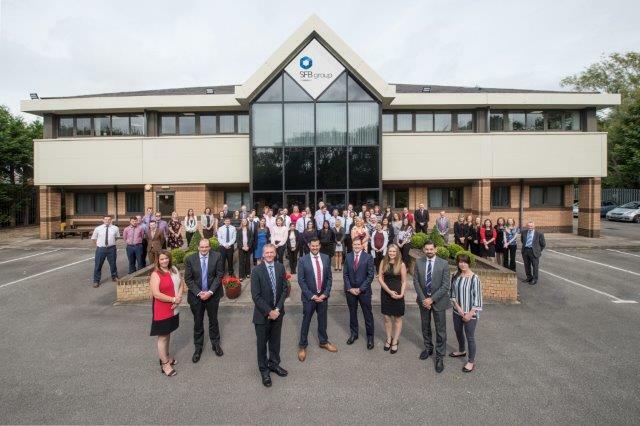 SFB was established in 1955 as Stewart, Fletcher & Barrett Chartered Accountants and we have been on an incredible journey to become the team you see today. Our heritage of providing a tailored high quality service remains, whist we embrace a modern business practice to bring you innovative and unique solutions. Six decades later and the passion to help our clients achieve their goals has never wavered. We’re proud to provide a local base for clients across Warwickshire, Leicestershire, West Midlands, West Yorkshire and Greater London. SFB are now more than just accountants. We now collectively go by the name SFB Group and provide accountancy, financial advice, tax solutions and outsourcing services to businesses of all sizes. Our services are individually tailored to meet your specific requirements. We’re not just interested in your company at year end, or when your investment plan is due a review. We will work with you throughout the year to help your business grow. SFB offer a FREE initial meeting where we can start to understand your business and introduce the services that are most appropriate for achieving your goals and aspirations. To maximise your business and personal wealth, contact SFB today on 03333 444 171 or enquiries@sfb.group. We look forward to helping you achieve your goals to create the freedom you desire.